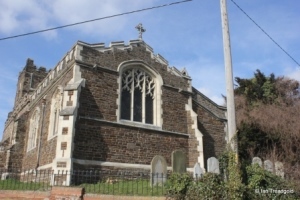 The parish church of St Giles in Upper Gravenhurst is situated to the north of the High Street in the middle of the village. The road drops down around the church giving a feeling of elevation to the church itself. Parking is by the side of the road. 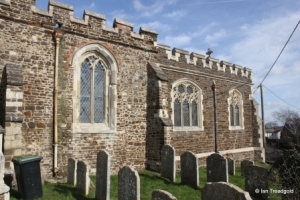 The church consists of a modern chancel, nave and west tower with a south porch. The north is a storage area and modern vestry. 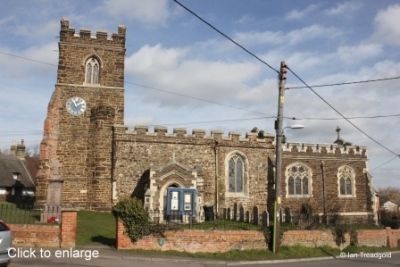 The nave is around 30 feet by 20 with the chancel adding a further 20 feet. The tower is about 10 feet square and some 30 feet in height. Whilst some of the nave dates from C12, much rebuilding and restoration has taken place especially in modern times. 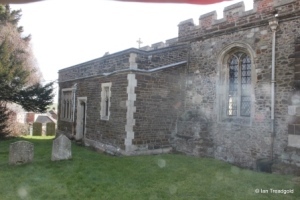 The chancel dates from the early C20 along with the vestry and organ chamber to the north and the south porch. 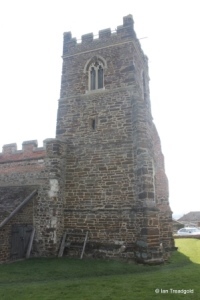 The tower is of C15 origin. 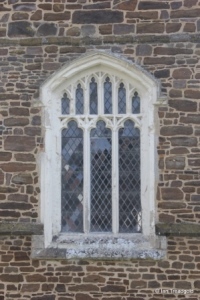 The south side of the nave has a single two-light cinquefoiled window with a quatrefoil design in the head under a two centred arch with hood mould above. 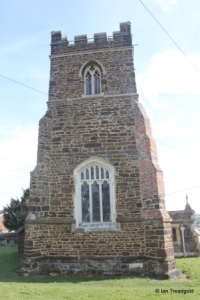 The stonework is not original but is in need of further restoration. 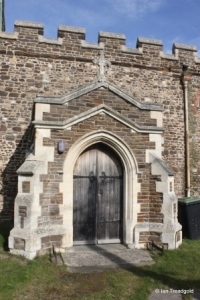 The C20 south porch has a two-centred arch with diagonal buttresses with a parapet and gable cross above. 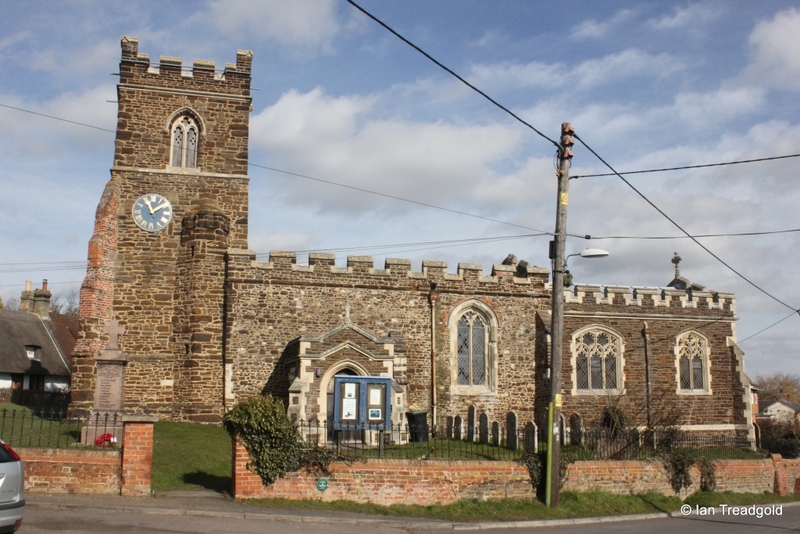 The church is embattled throughout. 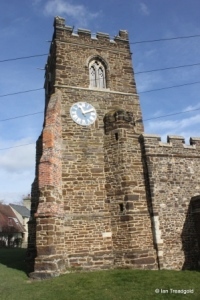 The tower is of three stages with a clock face to the south. 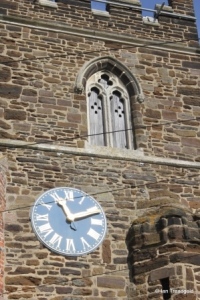 Because of the semi-octagonal stair turret the clock is offset giving an unusual appearance. 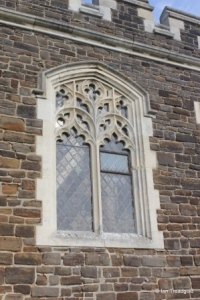 There are trefoiled two-light openings on all four sides of the tower with quatrefoil designs in the head of the two-centred arches. 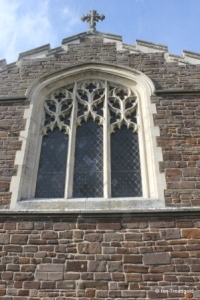 The west window is of three lights under a four-centred arch with perpendicular tracery above. 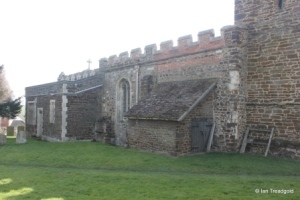 The north side of the church is much disfigured by the modern storage area over the blocked north doorway and the modern vestry and organ chamber against the chancel. There is a single window on the north side which, whilst similar, does not match its partner to the south. 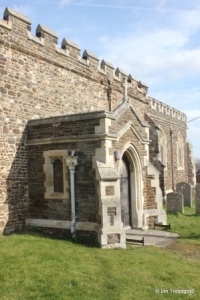 There is no tracery above the arch and the arch itself is more flattened, being almost rounded in appearance. 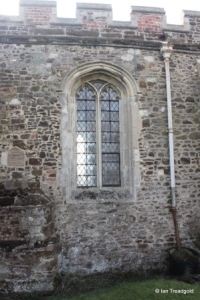 To the east of this window is a masonry footing around three feet high possibly forming the foundation to a turret containing a rood stair but no other evidence to support this exists. 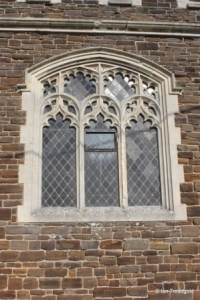 The modern vestry has two windows with one and three lights with perpendicular tracery under square heads along with a north facing door. 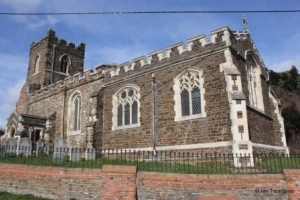 The east window in the modern chancel is of three cinquefoiled designs with curvilinear tracery under a four-centred arch with a gable cross above. 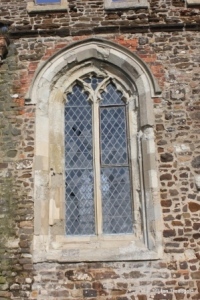 On the south side of the modern chancel are two windows, one of two and one of three cinquefoiled lights with multi-foil tracery above under flattened two-centre arches. Page last changed 07/03/2015. Reformatted 20/02/2016.